Welcome to Scratch That Records! We are a small group of independent artists releasing music, comic books, posters, and whatever else we feel like making. You can find out more about our Artists by clicking the tab up top. We've been doing this for so long that we had too many things to fit in one store, so we've set up individual stores for PJ and ed! 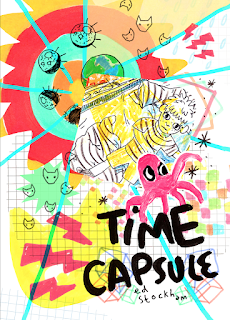 Our most recent release is this time capsule from ed stockham!